A weak system will bring a few inches of snow to the upper Midwest starting Tuesday afternoon and lasting into Wednesday, depending on your location. 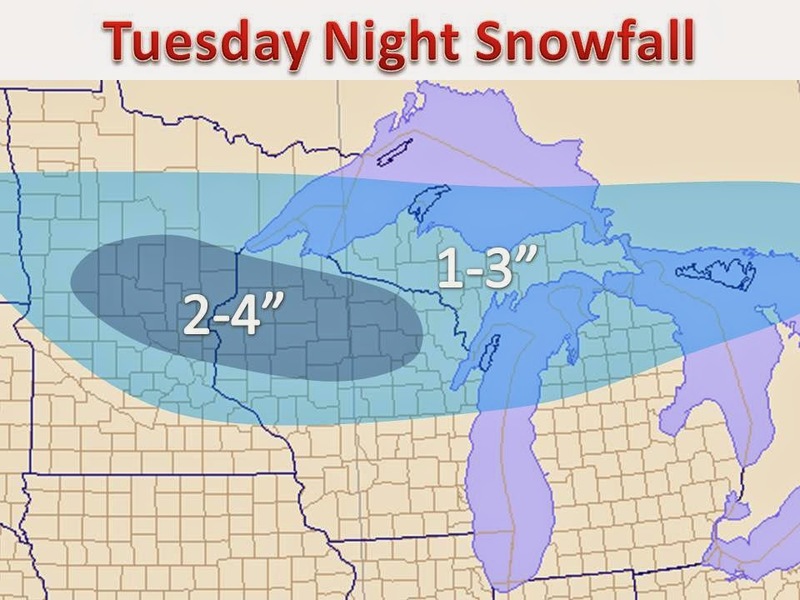 Nothing to major, as much of the snow will come Tuesday night, with the exception of Minnesota, where the snow will begin Tuesday afternoon, which could lead to a slick rush hour near Minneapolis. Winter weather advisories may need to be posted as the event nears. The models have been coming in heavier, we will watch this trend, and may need to buff totals up. Stay tuned.